This won't be a comprehensive on how to create your brand, but in keeping with our wholehearted creative business theme, let's look at some ways to make sure your brand represents who you really are and what you want to accomplish. It's important to realize that a brand is not just a logo, fonts and colors. Sure, those things are an element of branding, and what makes it quickly recognizable, but a good brand should encompass an entire message about the heart of the business, what it stands for and how people feel. A good way to start with keeping your brand on target with your purpose and mission is to take some time to write your core values. What are some things that are important to you as a business owner? Do you value customer connections? Quick service? High volume? Integrity? Do you make charitable donations or volunteer your efforts? Establishing some core values can help keep your endeavors on track. Once you've come up with your core values, try to sum them up in just a few words. It can be a phrase or three separate words. These will help guide your new efforts. They can be like a filter that you pass your ideas through. 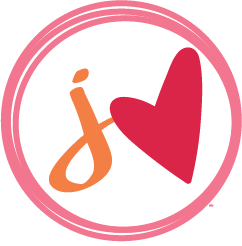 For jenuine Ruby, my brand words are genuine, wholehearted and inspired. Other things to think about in branding your wholehearted creative business are who are your ideal customers, and how do you want to make people feel when they interact with your business? Do you want them to feel empowered? Understood? Happy? Productive? Valued? Vibrant? These are things to consider because they can help build your brand. If you are reaching women and you want them to feel peaceful when they visit your site and interact with your brand, you'll want to choose soothing colors and fonts and create a soft logo. If you want your brand to evoke excitement and fun, you'll choose more bold elements in your branding. Remember through all of this, your business is a representation of YOU. If you are pursuing a wholehearted approach to creative business, then my guess is that you're pouring your heart and soul into your work. Make sure that what you're building feels authentic to you. It will be much easier to remain and grow if you do.